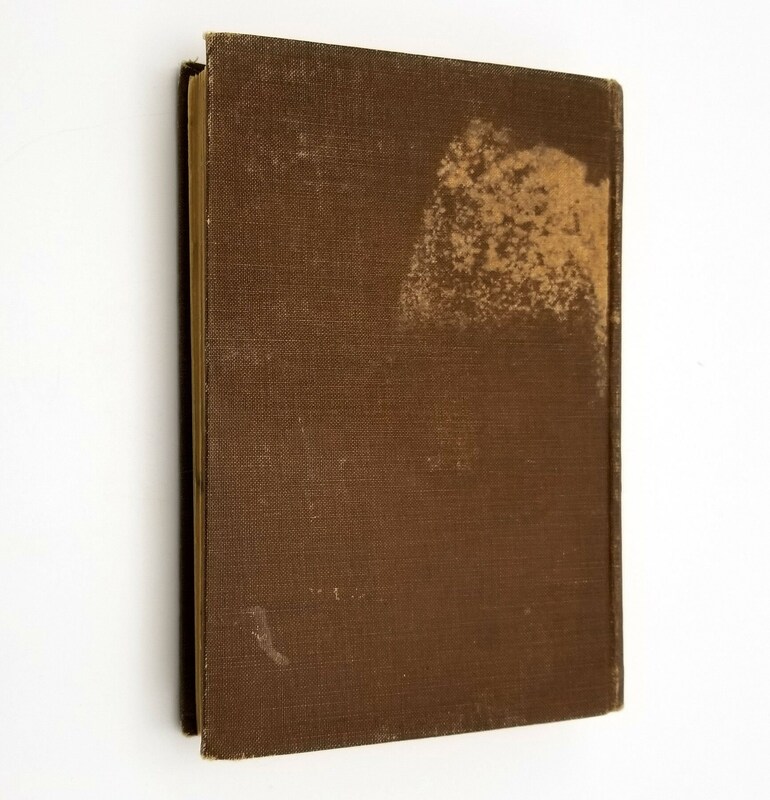 Description: Book is worn at head of spine with a little fraying; bumping to fore edges as well as head and tail of spine; a few small drip spots on front board and a larger area of moisture staining on rear board; markings on front paste down; some soiling to end papers; pages are free of marks; binding is sound. 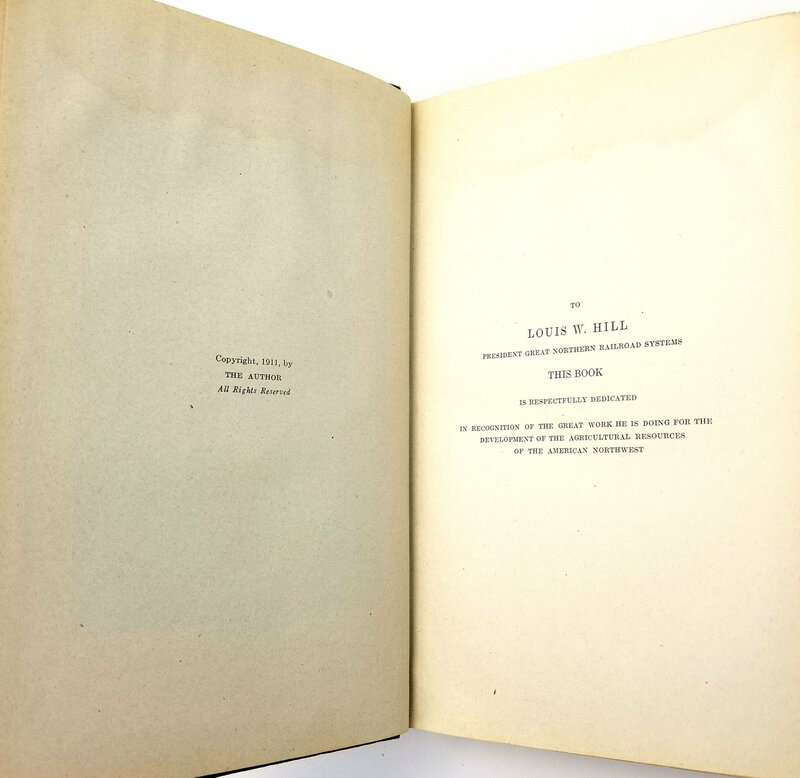 Scarce 1911 (first) edition. Includes over 50 illustrations and photographs. 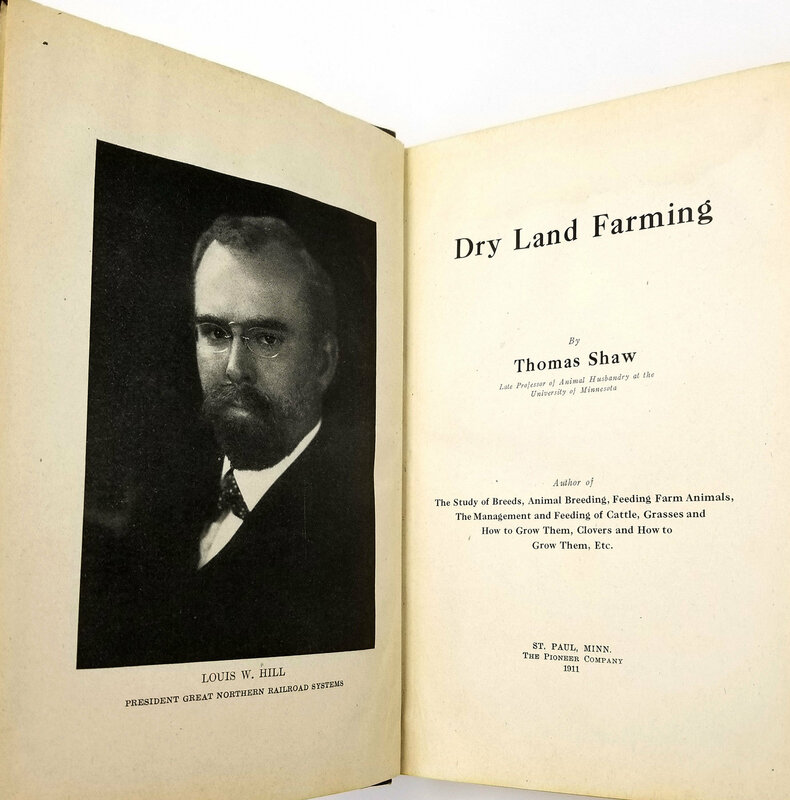 A comprehensive guide for farmers of arid regions, from Ohio and Minnesota, up to Alberta and Saskatchewan, and through Colorado, to Montana and the state of Washington. 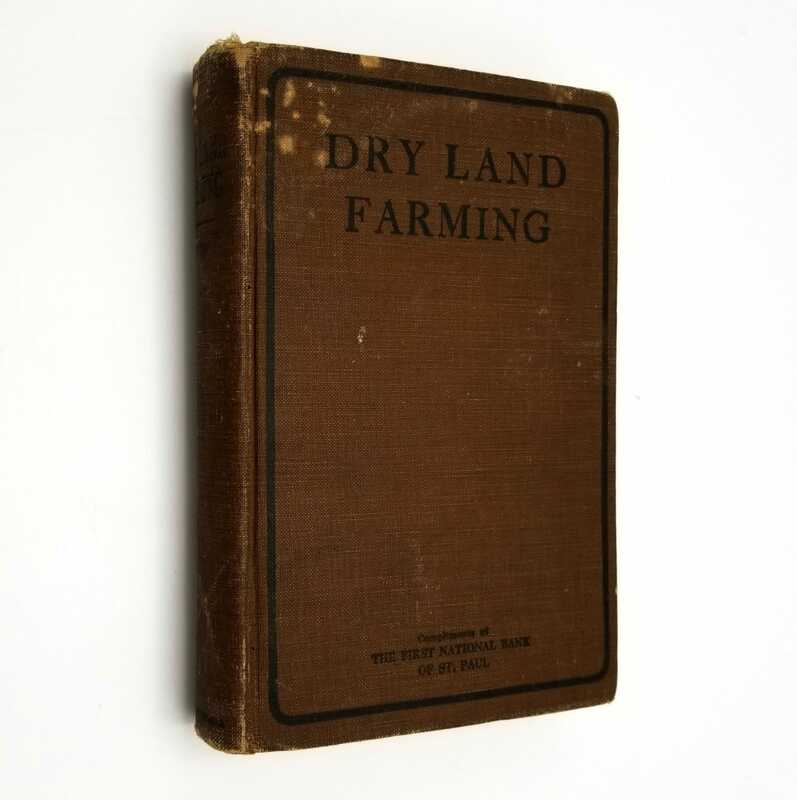 Contents: What is Meant by Dry Land Farming; The Origin and History of Dry Farming; The Domain for Dry Farming; Soils in Dry Areas; Soil Moisture and Dry Farming; Plant Growth in Dry Areas; Plowing in Dry Areas; Cultivation in Dry Areas; Sowing and Planting in Dry Areas; Crops That May Be Grown in Dry Areas; Growing Grain Crops in Dry Areas; Growing Cultivated Crops in Dry Areas; Growing Legumes in Dry Areas; Growing Hay and Pasture Crops in Dry Areas; Growing Trees and Fruits in Dry Areas; Rotation in Dry Areas; Maintaining Fertility in Dry Areas; Live Stock on Dry Farms; The Water Supply in Dry Areas; 2 page index. 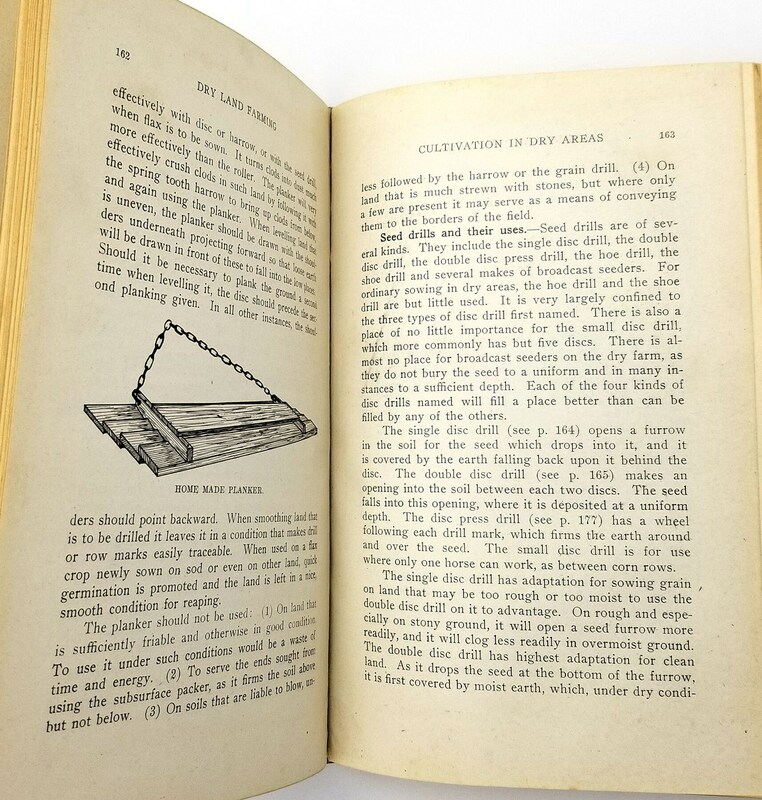 Pages: 460 pages, including index.